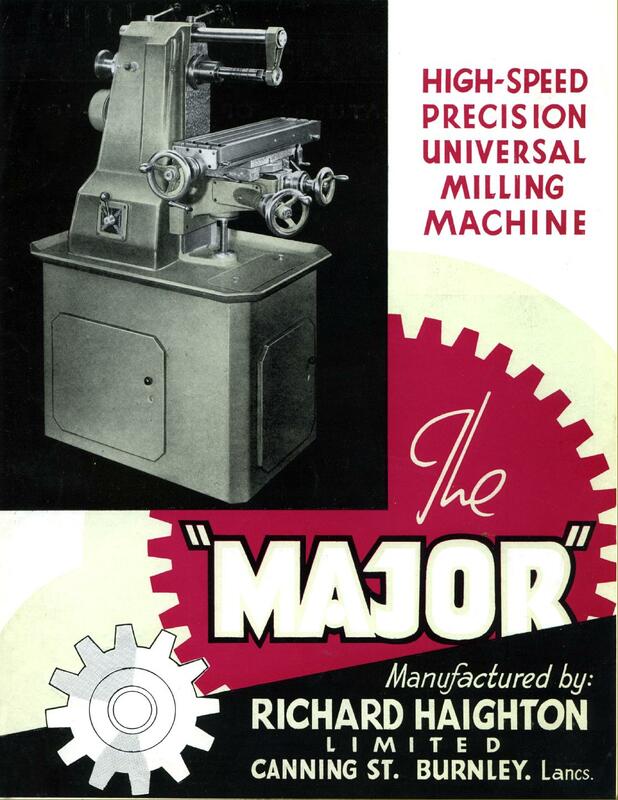 Manufactured from approximately 1953 until 1958 (when Haighton's precision production department was closed) the Haighton "Major" was a development of the superb Hardinge TM/UM precision universal horizontal milling machines that began life during the early 1930s. 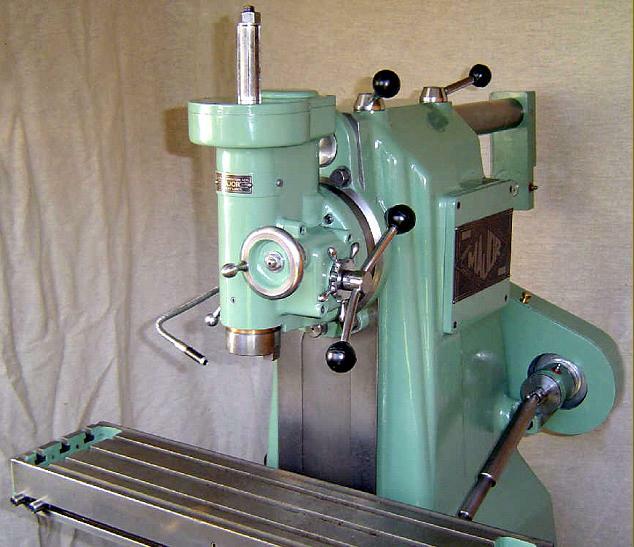 Equipped as standard with a 6.5" x 26" power feed table (with three T-slots) that could be swung 45° each side of central, together with the availability of a quill-feed vertical head with both fine and rapid drill-action feeds, the Major was a true "Universal". The miller was intended to fill a particular niche in the market, for nothing like it in with its combination of quality, size and capacity was available at the time from a British manufacturer. 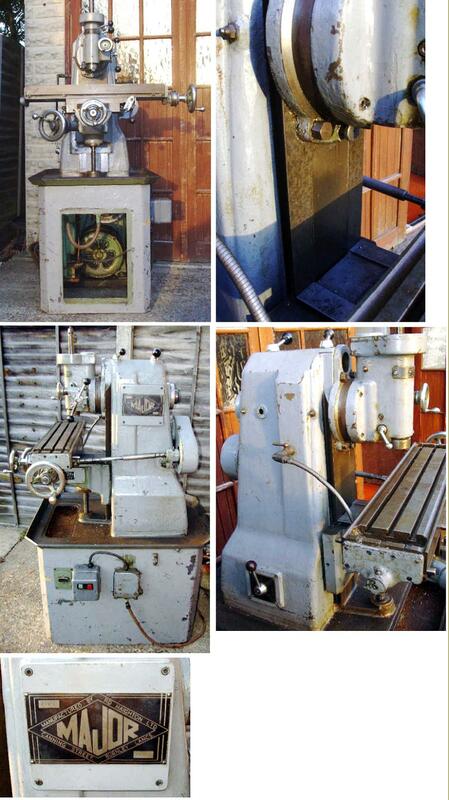 Tom Senior offered a range of useful machines, but non had a vertical head that could match the versatility of that fitted to the Haighton. Machines from Centec were well made, but much smaller (until the advent, too late in the day, of the 2C), while those from Adcock and Shipley, a market leader, were either geared towards production, too large or, again, lacked a suitable head (as did those from Victoria/Elliott). The only opposition would have come from Alexander with their direct copy of the early Deckel FP1 Universal. During the local celebrations for the coronation of Queen Elizabeth II on the 2nd of June, 1953, the prototype HSU1 was displayed in public for the first time mounted on the a Haighton lorry. 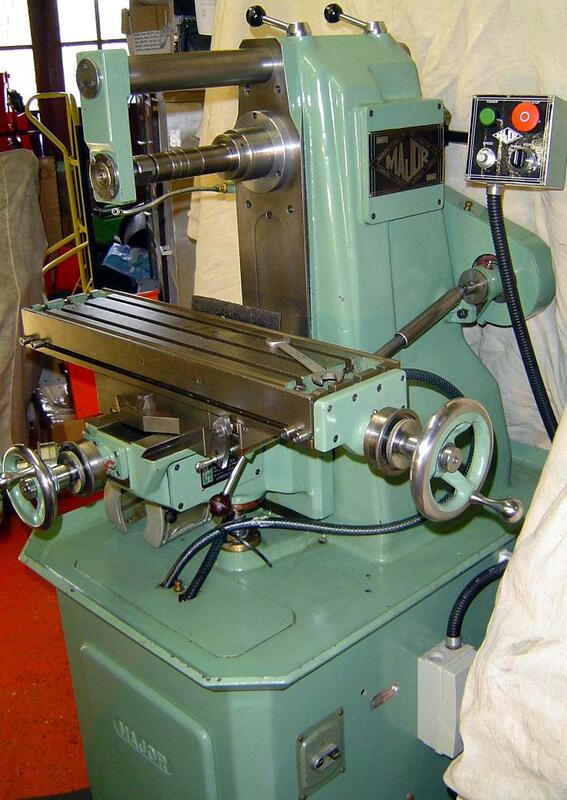 The miller was manufactured entirely in-house, with the castings coming from the company's own foundry and even the gears being cut on the premises. 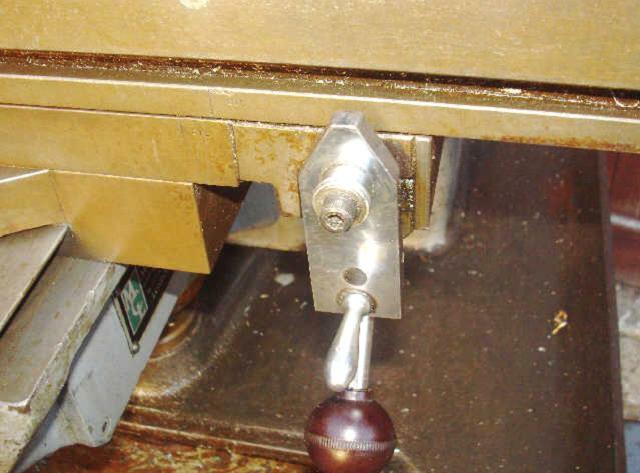 Reports from an ex-employee suggest that a production run of around fifty was undertaken, with each machine being hand-finished and taking many months to complete. 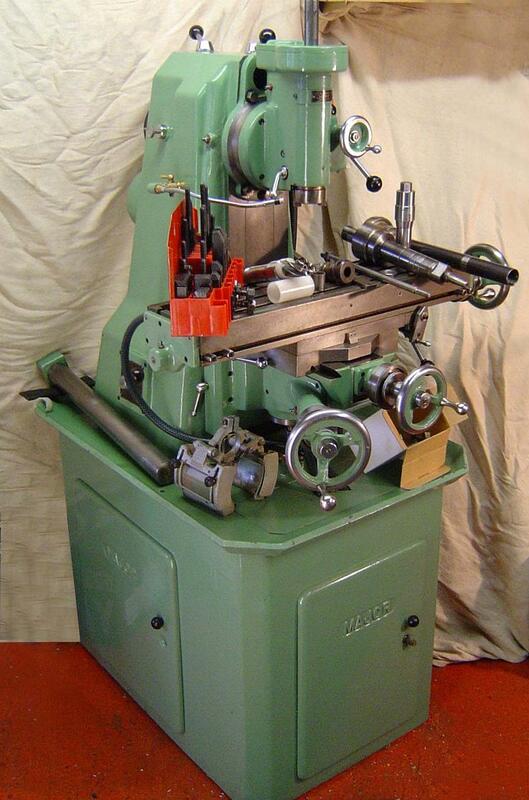 Indeed, details of the construction point to a machine of very high quality: the main column was of substantial construction and sat on an octagonal base constructed from welded 3/16" steel plate. Two cast-aluminium doors were provided; one on the left-hand face to provide access to the drive, the other, at the front, to give to cover a small storage compartment; both were fitted with 5-lever Yale locks. Gussets in each corner were fitted with tapped holes for levelling screws. 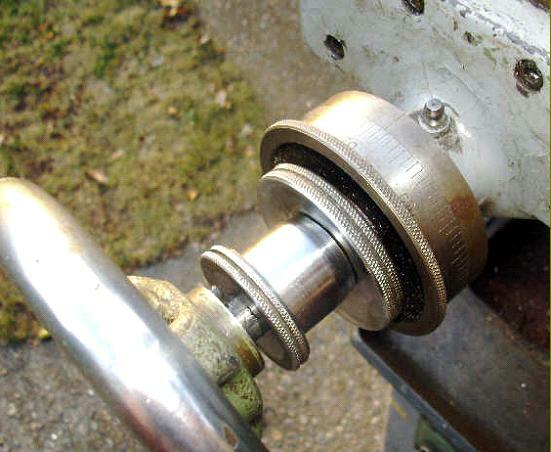 Table feed-screws ran through needle roller bearings in their end support plates (these were hand scraped flat, as were it appears, all the slideways as well) and had a ball-bearing to take thrust behind each handwheel. 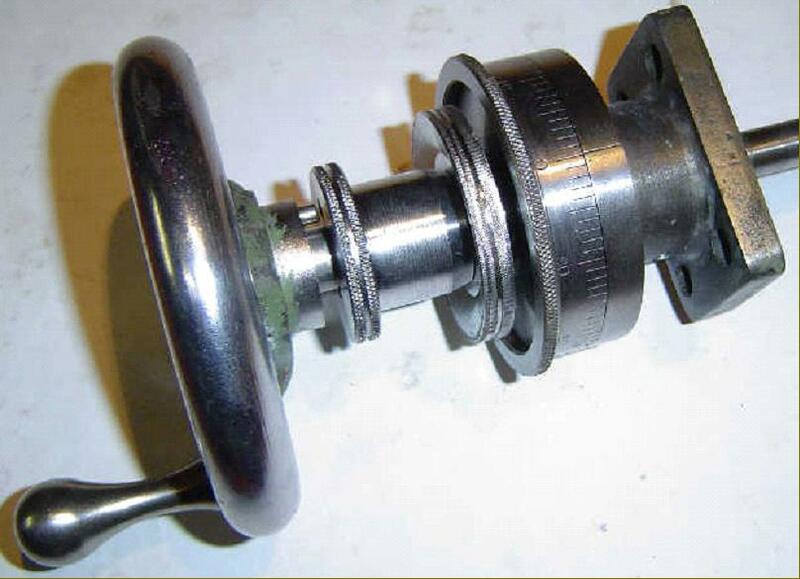 The nuts were in bronze and of the "double" type, adjustable to remove backlash as it developed in service, and all horizontal slides had proper, tapered gib strips. 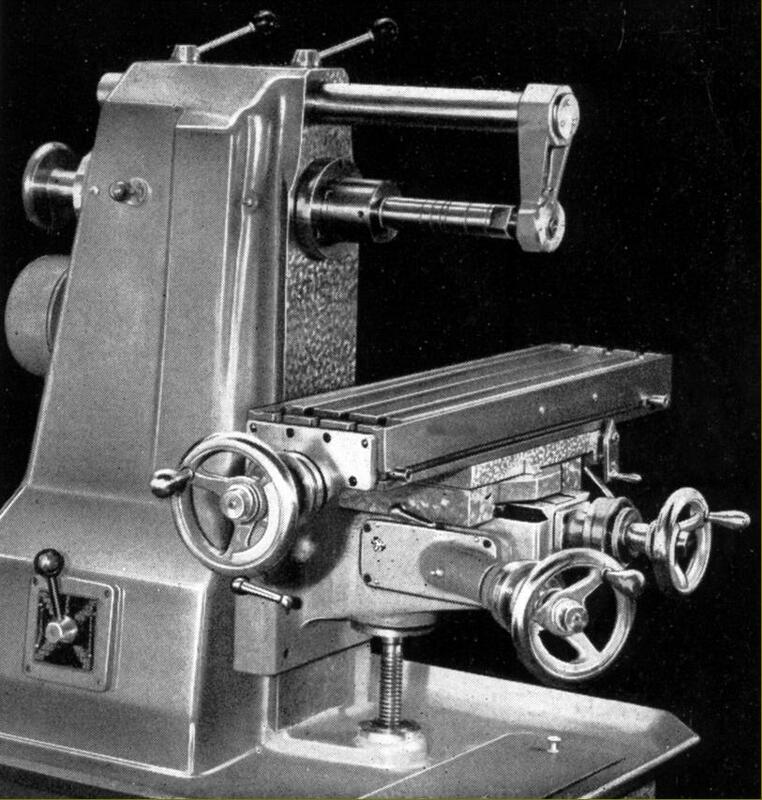 The knee gib was the usual type for this class of machine with a double tapered wedge block with push-screw adjustment. 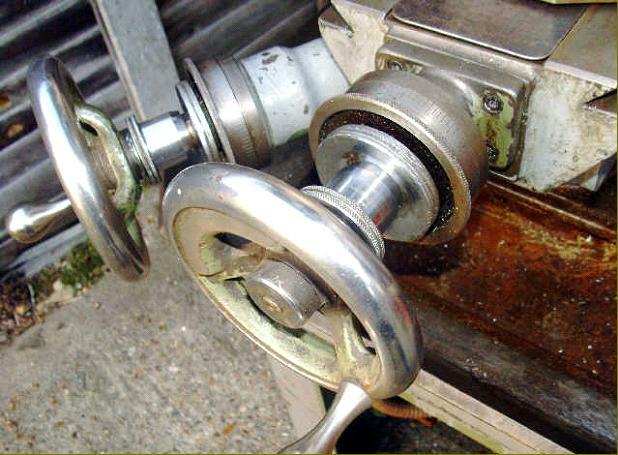 Very Hardinge-like, the handwheels had a sliding sleeve that acted as a simple dog clutch to allow the handles to be disconnected (for safety) when power feeds were being used. Usefully large at 3-inches in diameter, the micrometer dials were crisply engraved and locked by knurled rings that acted along the axis of the screw so preventing any setting error as they were locked or unlocked. 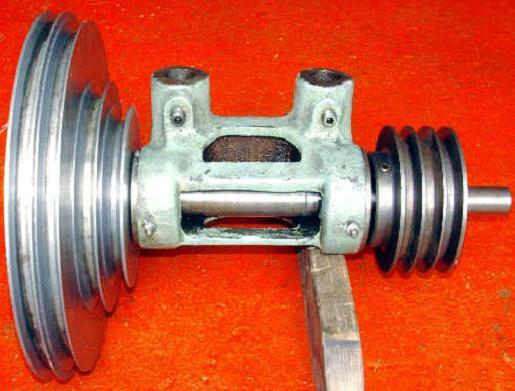 The heavily-built knee was raised and lowered by a handwheel whose shaft ran in needle roller bearings with, at each end, a ball-bearing race to take thrust. 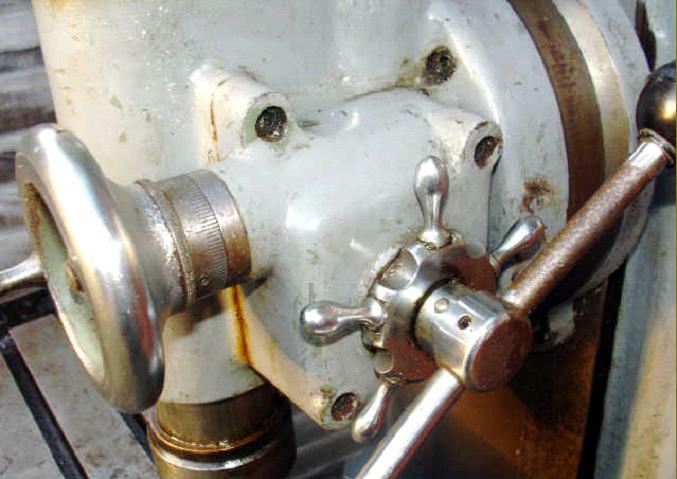 The elevation screw, which ran through a bronze nut fitted with a steel grease seal, had a 5 t.p.i. 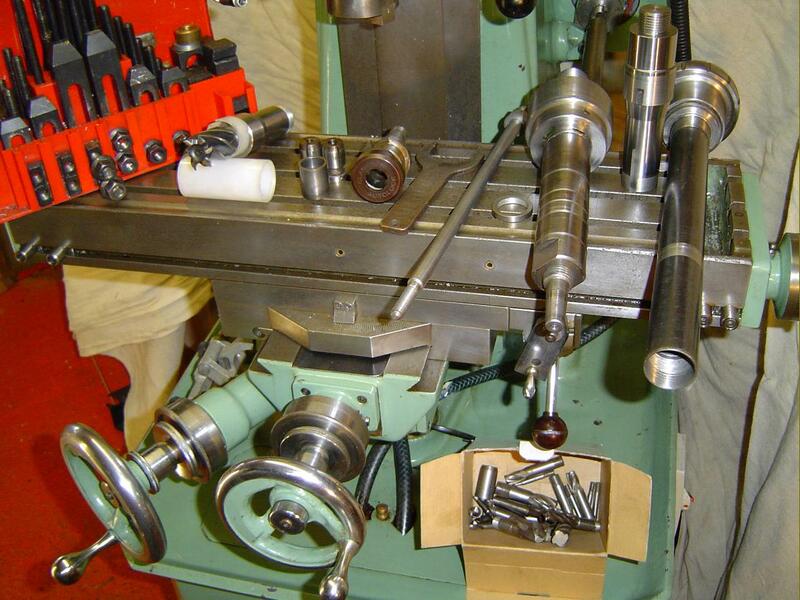 left-hand acme thread knee and was supported by a deep-groove thrust bearing on the bottom. 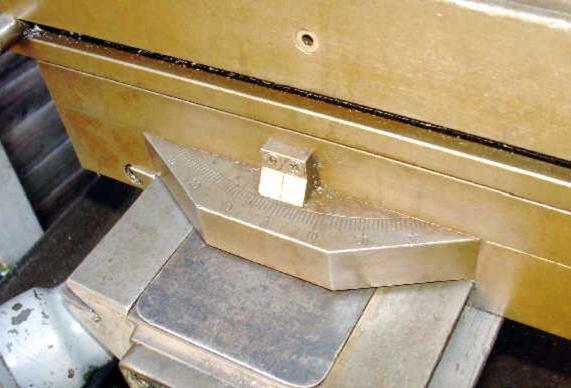 The four rates of automatically knocked-off table feed (0.001",0.003", 0.005" and 0.007" per revolution of the spindle) were provided. 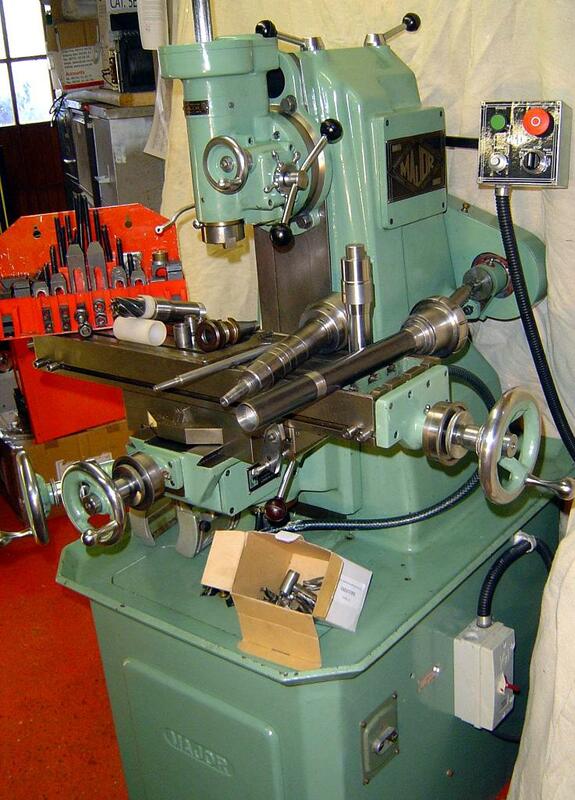 The usual system was used, with a splined and universally-jointed shaft, driven by V-belt from a rearwards extension to the countershaft that carried a 4-step pulley. The shaft connected to a cast-steel box, mounted under the table at its right-hand end, fitted with a 2-start worm gear running in an oil bath and with engagement by a swing lever. 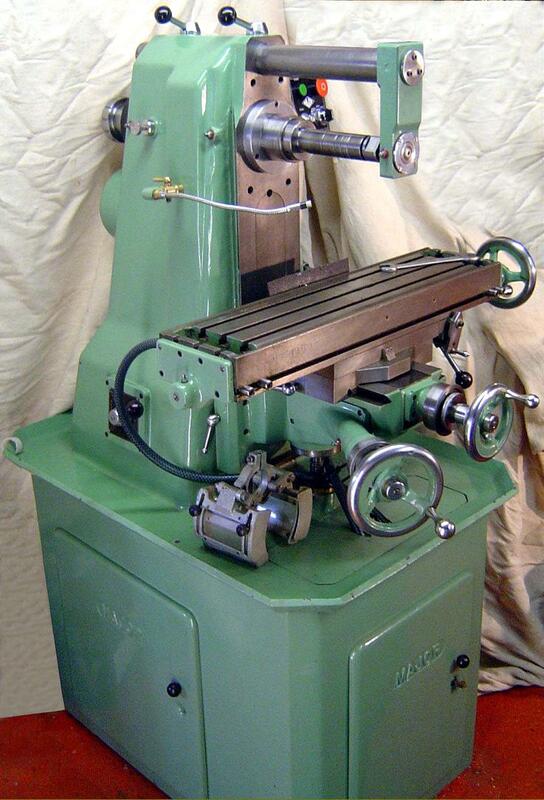 Of course, as spindle speeds were increased, so did the table feed, the drawback to not employing a separate motor. Power came from a heavily-built Brook 2-speed 3-phase motor (mounted on a hinged plate within the stand, running at 1480/740 rpm and producing 1.5/0.75 h.p. A five-way rotary lever switch, mounted on the left-hand face of the column, was used to select the speed, direction and stop/start. 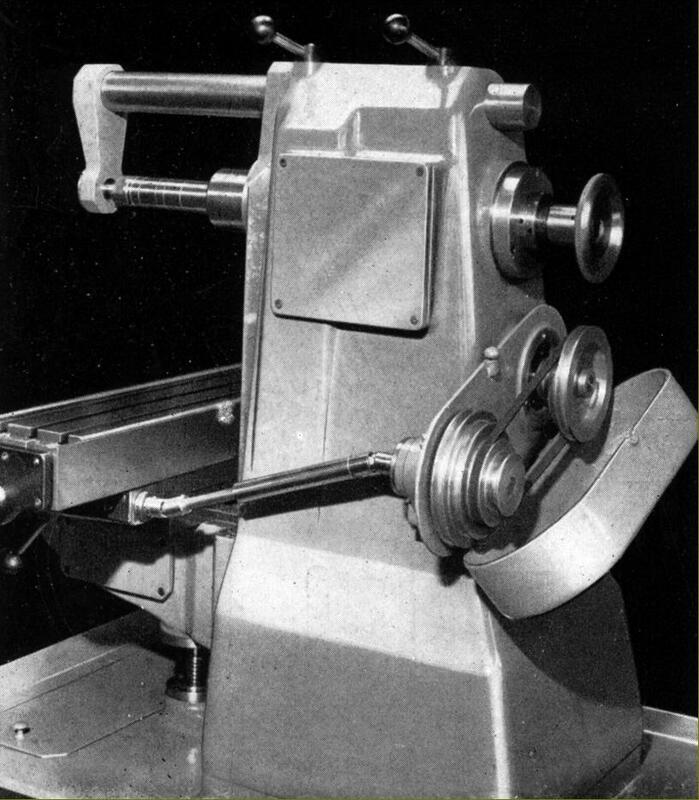 Drive was by V-belts, and a simple countershaft arrangement, with a single "A" section belt from the motor running over a 4-step pulley to drive an intermediate shaft with a triple "A" section belt driving the spindle. The resulting speed range covered a useful 110, 165, 225, 340, 600, 905, 1230 and 1850 r.p.m. 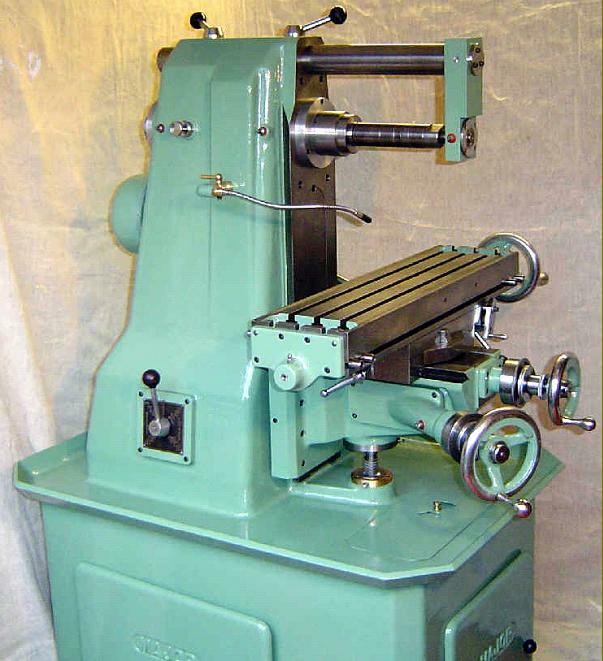 Equipped with a taper to take 5C collets (an INT30 fitting became an option in later years) the spindle also had (rather unusually) a 2.25" x 10 t.p.i. threaded nose. 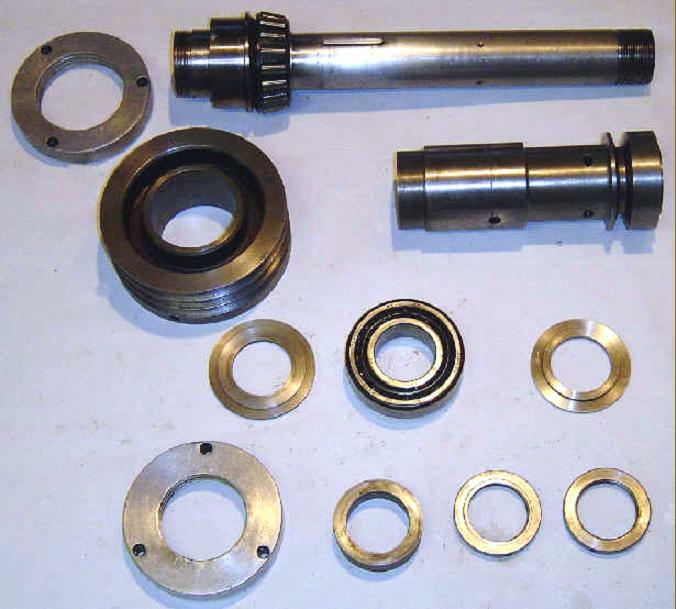 It ran in grease-lubricated Timken taper- roller bearings fitted with labyrinth seals capped by cast-aluminium covers at both ends. 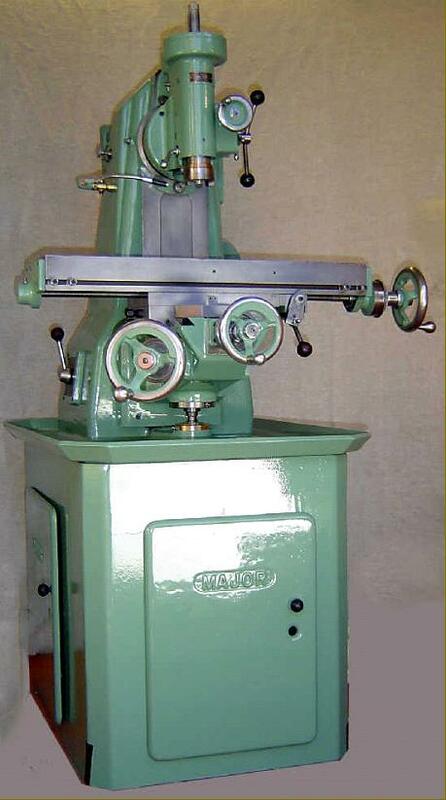 Supported by a 2-inch diameter over-arm and cast-iron drop bracket, the horizontal milling arbor was 1-inch in diameter and fitted, at the socket end, with 'ears' to engage with cut-outs in the spindle nose. What the selling price was is unknown, but it may well have equalled that asked for the contemporary Schaublin 11A at around £450 - then the price of a decent semi-detached house in the north of England..